One free sliotar of your choice with any 5 Sliotars purchased. One free Club 4 two-toned Sliotar of your choice with any 3 Sliotars purchased. One free two-toned Keyring of your choice with any 2 Sliotars purchased. To avail of the special offers put the free Sliotar or Keyring of your choice in the special requests section of the online order form. Shop our Collection of Sliotars & Accessories Now. 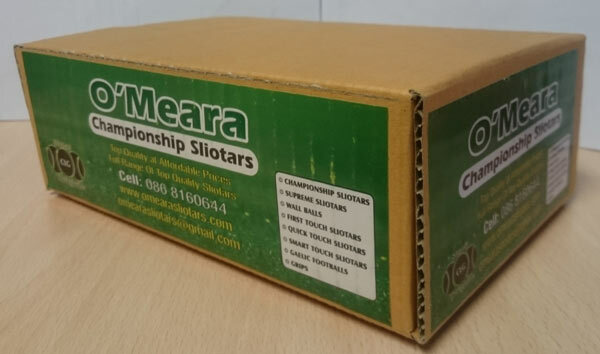 All Sliotars purchased are dispatched in O’Meara Sliotar presentation boxes.